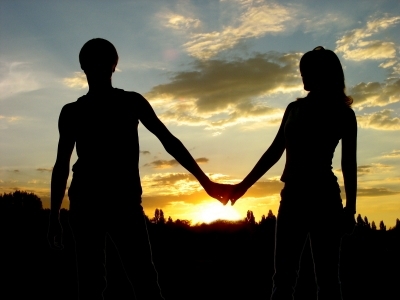 Is the end of a de facto relationship the same as the end of a divorce? While the question may not bother the parties involved too much – the end of the relationship is what’s important – it can be an extremely important issue for the law, particularly when it comes to wills. When you enter a marriage, your will becomes invalid. This is true, whether it’s your first marriage or your third. The act of marriage invalidates any and all of your previous wills. The act of separation has no affect legally on your will, but divorce does. In Queensland (and it’s slightly different depending on what state you’re in), provision for a divorced spouse is revoked. But what of de facto relationships, where the beginning and end of a relationship are not so clear-cut? 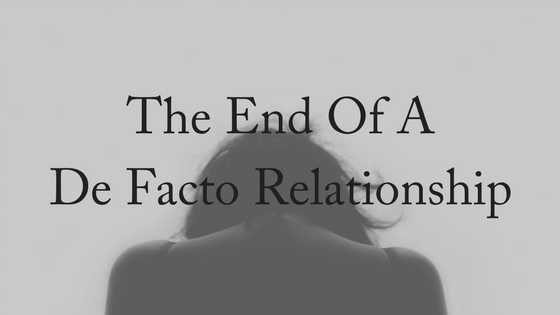 Until recently, the cessation of a de facto relationship did not have an effect on a person’s will. Wayne Scott’s last Will (dated 2 December 2003) gave the bulk of his estate to ‘my de facto wife KATHRINE MARY MURRAY’. Mr Scott and Ms Murray ended their relationship permanently on 21 December 2011, and Mr Scott died on 28 August 2014 without changing his Will. The Supreme Court of Western Australia decided that Ms Murray did not receive the gift under the Will because she and Mr Scott had ceased to be de facto spouses. Master Sanderson stated ‘The deceased bequeathed the property to Ms Murray because she was his de facto wife. Once that ceased to be the case it seems to me the intended disposition should fall away’. It is an interesting decision, as the previous view would have been that Ms Murray would still be entitled to her gift despite the ceasing of the relationship. If Ms Murray had not been referred to as ‘my de facto wife’, and simply named in the Will, then she would still have been entitled to the gift. The decision has some interesting implications. De facto couples must review their estate planning arrangements when the relationship ends, either to preserve gifts to a former partner, or to remove them. It is not practical at this early stage to rely on this single recent decision as a complete and correct statement of the law, and updating arrangements can make the result clear and certain. 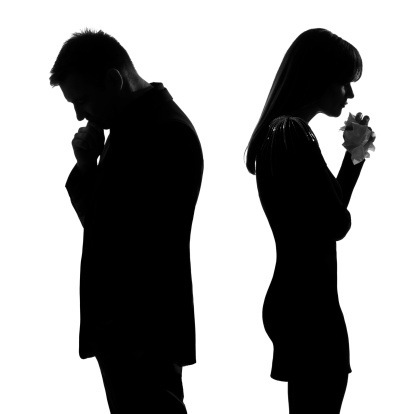 A person who has separated from a spouse to whom they are married, but not yet divorced, should also review their estate planning arrangements as a possible extension of this case would be to remove a gift to a spouse from whom someone had separated but not divorced at the date of their death. Executors should be careful when administering estates where the Will refers to a person who was a former spouse of the deceased. After Blyth v Wilken, the separation may have changed how the Will operates. Witold Mazurkiewicz died on 11 December 2010 leaving no children or relatives other than his brother, Waldemar Mazurkiewicz. Witold had been married to Wanda Mazurkiewicz who predeceased him, having died on 16 July 2008. Waldemar was the administrator of the estate of Witold. The plaintiff, Mrs Chan, commenced a relationship with Witold in 1993. She claims that they became de facto partners and remained so until Witold’s death. Mrs Chan claims to be entitled to the estate property to which a wife would have been entitled had Witold died leaving a wife. Waldemar in his capacity as administrator of the estate of Witold and in his personal capacity denies that Mrs Chan was Witold’s de facto partner at the date of his death. If Mrs Chan was not in a de facto relationship with Witold at the time of his death then Waldemar, as his brother, is entitled to the whole of the estate. The court found that a marriage-like relationship between Mrs Chan and Witold had endured for at least 15 years. However, the question to be answered is whether Mrs Chan and Witold were living in a marriage-like relationship at the time of his death and for at least two years immediately prior to that, that is between December 2008 and 11 December 2010. The nature and length of the relationship. The relationship between Witold and Mrs Chan was a long term relationship. It lasted for 17 years, although the nature of the relationship changed after Witold returned to live at Booragoon in 2008. Whether they had lived together. Mrs Chan and Witold resided together from 1993 until early 2008. However, they were not residing together at the time of Witold’s death and had not resided together in the two years immediately preceding his death. The nature and extent of common residence. This includes things like how often the two people stay in the same residence and share household chores and duties. Before Witold moved back to the Booragoon house in 2008 they stayed in the same residence all the time. They shared some household chores and duties. For example, they did some shopping and cooking together. However, at the time of Witold’s death, and for the two years immediately preceding his death, they did not share a common residence. The degree of financial inter-dependency. At the time of Witold’s death, Witold and Mrs Chan were financially independent. Neither contributed to the daily expenses or outgoings of the other. Neither of them had made any commitment to financially support the other and neither of them relied upon the other for financial support. Witold and Mrs Chan maintained separate bank accounts. The public aspect of their relationship. From 1993 to 2008 Witold and Mrs Chan were known to others as a couple and behaved in public as a couple. However, that changed in 2009 and 2010 when Witold was living at Booragoon. Leaving aside Mrs Chan, the person or persons with whom Witold had most contact after Wanda’s death were his cousin, Jerzy, and Jerzy’s wife, Mariana. Having regard to those matters taken together I find that Mrs Chan has failed to establish that she and Witold lived as de facto partners at the time of his death and for a period of at least two years immediately before his death. The plaintiff’s claim must be dismissed. These two cases make it clear that anyone in a de facto relationship should update their will regularly, and ought to do so immediately upon the breakdown of the relationship. Any Family Court proceedings ought to be entered into as soon as possible so that a property settlement can be reached prior to the deaths of either will-maker. If you have any questions about the law surrounding de facto relationships and the cessation of a de facto relationship, please contact us today for your FREE, 10-minute phone consultation.